Since the recent lift on the travel ban for Americans going to Cuba and now President Obama being the first U.S president to visit the island since 1928 ( For no particular reason, no American president had visited the island for 3 decades before the 1958 revolution.) Cuba is on everyone's lips, and for good reason. It's a magical place. Growing up in the Turks and Caicos, there was never any stigma or taboo attached to Cuba. We had direct flights several times a week, I had Cuban friends, my Spanish teacher was Cuban and we even went on a class field trip there when I was about 13. It was exciting for sure, but not because it was forbidden. We were just excited to explore a new island, one with cities! For U.S citizens though, Cuba has been off-limits since Kennedy was President and this opening up of ties with the United States is definitely exciting! Over the past month or so, I've been bombarded with online articles and blog posts with titles such as "Be the first of your friends to go to Cuba" the bragging rights which come with visiting this Caribbean gem are a long tradition. Will direct flights from the US to Cuba change all that? 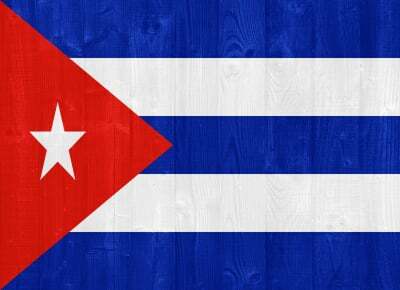 Will Cuba change? Will the old-time feel that is synonymous with cities like Havana dissappear as more and more people (Americans) travel to Cuba and establish business connections with the country? Only time will tell, but one thing is for sure: Cuba is hot right now (it's pretty warm all year round actually) and many people from around the world are trying to get there and experience the land lost in time before the 21st Century catches up with it. Marco Travel has been organising trips to Cuba for over two decades and has established relations and partnerships with numerous hotels and tour operators. We're thrilled that there are now weekly direct flights from Providenciales to Santiago de Cuba and flights to Havana are set to start soon! Cuba truely has something for everyone, from scuba diving with silky sharks in the Jardines de la Reina to the plethora of historic sites throughout the island (The entirety of Old Havana has been designated a UNESCO World Heritage Site). Visit some of the many museums Cuba has to offer, and revel in country's art and culture. Entice your tastebuds with a melting pot of authentic Caribbean flavours. They may not be the Cubanos so typical of Miami, but a delicious, fresh off the grill sandwich from the streets of Havanna is worth the trip on its own. If all this fails to peak your interest, go Hiking , Sailing , or simply dance the night away on the Malecon . We've compiled a list of interesting articles and videos to help inspire you. 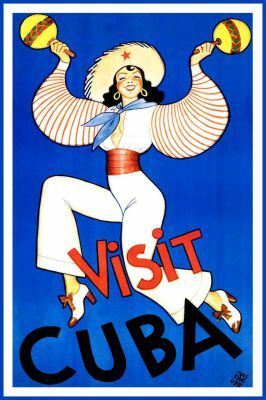 The Cuba Travel Network is one of, if not, the best online resources for everything Cuba related. It's a great and informative website created by local tour experts where you're bound to find something inspiring. 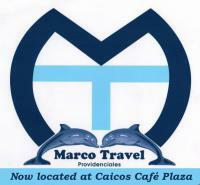 Marco Travel works closely with Cuba Travel Network and once you've got an idea of what interests you, come and talk to one of our agents or email [email protected] and we'll take care of the rest! Whatever Cuban adventure you’re looking for, we’ve got you covered! Call: 946-4393 or email: [email protected] today! Bloomberg - Cuba's Vintage Cars Won't Join Rum and Cigars in the U.S. In addition to the classics such as Our Man in Havana by Graham Greene or Islands in the Stream by Ernest Hemingway, there is a substantial amount of literature both fiction and non that the bookish traveller may enjoy before, during or after visiting Cuba.